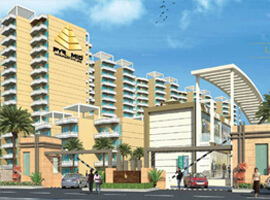 Tashee Capital Gateway located at sector 111 of Gurgaon, spread across 10.46 acres. Blended within spectacular surroundings, capital gateway offers beautifully crafted 2, 3, 4 and 5 BHK luxury apartments in multistoried towers. Inspired by the very best, the group housing offers superb amenities, leisure activities, exquisite residential choices and blissful privacy. 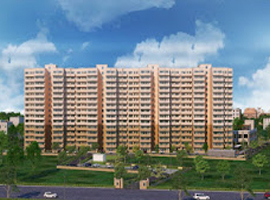 Zero Kilometers from Delhi, “Capital Gateway” is situated in one of the most convenient locations in Gurgaon adjoining Dwarka, just five minutes from both Indira Gandhi International Airport and diplomatic enclave and ten minutes from NH-8, Capital Gateway gives you the best of both worlds. With an eight lane 150 meter wide Dwarka Expressway, a golf course road and a metro station all less than 1 kilometer away, adjacent to retail, shopping centers and with essential services like schools, railway-stations and hospitals, Capital Gateway enables you to strike a perfect work-life-balance. Moreover, there are proposed plan for an entertainment park ‘Appu Ghar’ and a lavish Golf Course, just a few kilometers away from the project. This unique group housing project is designed and equipped with the latest in infrastructure facilities like centralized security system, exclusive ultra modern club house, indoor sports activities, outdoor sports activities, store for daily needs and others features like high speed elevators, full power backup, ample covered car parking, etc.